At Techbuyer, we provide an extensive range of high-quality servers from industry-leading brands such as Dell, Intel, IBM, Cisco, Fujitsu and Sun and HP including HP ProLiant and HP ProCurve. We understand that every company has different IT requirements, so in addition to providing standard manufacturer configurations and part numbers we also provide our own range of custom built servers, configured-to-order (CTO) and designed to match your individual requirements. Our team of HPE Accredited Server Technicians have helped us earn a market-leading reputation worldwide with thousands of happy customers all over the globe. We provide the complete ‘end-to-end’ process: we listen to your data centre requirements, quote a bespoke CTO server tailored to meet these exact requirements and then build the server for you, all completely free of charge. We can build CTO servers with either brand new parts or by using quality refurbished parts which are available with up to 80% off the RRP. Our free CTO server service comes with several configurable options for an extensive range of rackmount, tower and blade servers. These include CPUs, PSUs, memory, RAID cards, hard drives, adapter cards and racking options. From departmental storage, web servers and database servers right the way through to data centres and enterprise-wide processing servers, we will build the best server based on your unique requirements. In addition, we also provide CTO storage options whereby we build the CTO servers along with populated storage arrays with the RAID pre-configured for easy installation. Every server is custom configured and built to order, ensuring customers get only the most up-to-date systems, but if you specify an older system we can cater for that too. Our aim is to provide the highest quality systems with the superiority and the dependability needed at an affordable price in extremely fast turnaround times, even the same day! All of our servers are tested thoroughly before being shipped to you. We qualify every component that goes into our CTO servers, so you can rest assured that whatever configuration you select, the components will be of the highest quality. We have an extensive collection of rackmount servers with a complete range of sizes from 1U through to 5U that will suit all your needs. We stock processors from industry-leading brands such as Intel and AMD including the Intel Xeon E7/E5/E3 Series and the AMD 6300 Series. We are one of the leading stockists of ProLiant servers including DL360, DL380, DL580, BL460c generations G6 through to G10 along with Dell PowerEdge series, 10th through to 13th generation. 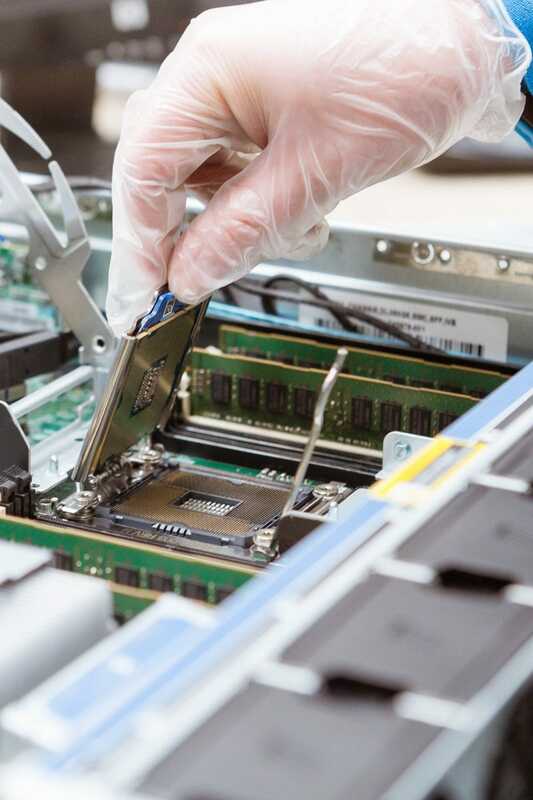 We work with leading manufacturers such as HP, Dell, IBM, Intel, Cisco, AMD, Qlogic and Emulex, and also offer lower cost options and upgrades from many other brands such as Seagate, Ortial Technology and many more, for those that want the same reliability but at a great price! 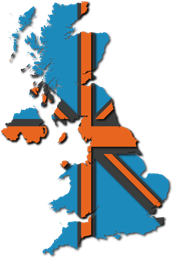 Every single server is configured, checked and tested by a team of trained technicians and will have been carefully considered and tested by our engineers before being made available to you. There are no assembly lines at Techbuyer, but our commitment to quality goes even further; every system is covered by an unbeatable Techbuyer Three Year Warranty with optional Techbuyer Lifetime Warranty. With extensive in-house product knowledge, our server builders are able to create cost-efficient and reliable server solutions. 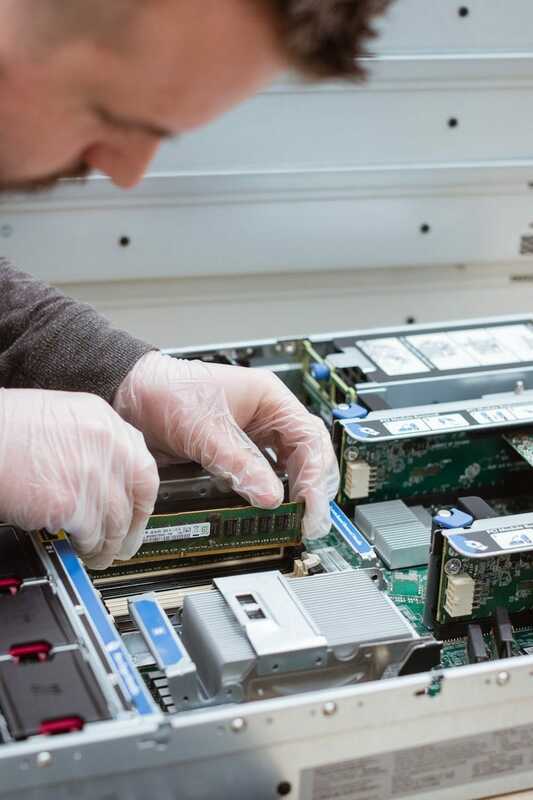 We can help to guide you through server specification process, ensuring that the server will perfectly suit its purpose, and by only using quality, tested components, you can be sure of its reliability. Contact Us Today to Obtain a FREE Quote For a CTO Server! Why not call us today for a free and friendly chat, we’d be happy to discuss your custom build server requirements or provide you with a server quotation. Call us or drop us an email and our in-house server builders will get right back to you to discuss your custom server specification within minutes and provide a full CTO server quote within just 30 minutes.